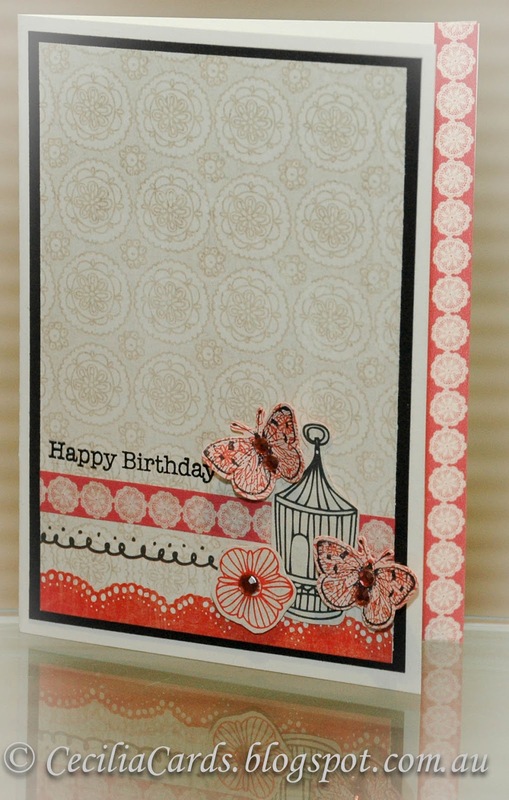 A quick card tonight using Retro Sketch #23 with Basic Grey Paper Cottage (Again! Yes, I love this collection!). 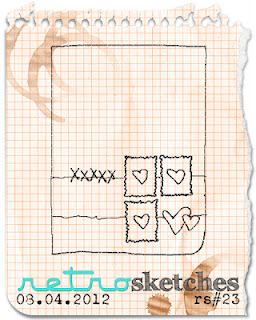 The sketch is very simple. 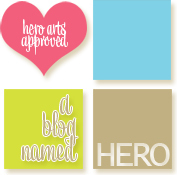 I'm also submitting this for A Blog Named Hero Freestyle challenge and Hero Arts CAS card challenge. Thanks for dropping by! Oh, no, I might have to get that set with the bird cage now that I've seen this card! Beautiful work, Cecilia! Beautiful! 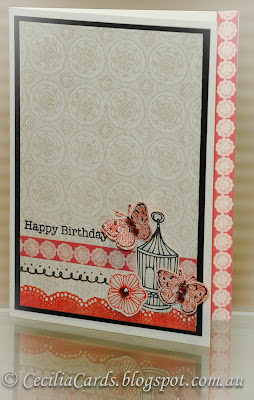 I adore the papers you used and the color combo is pretty! 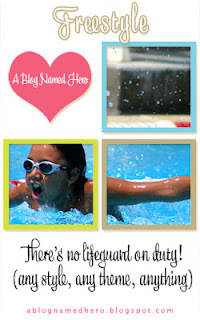 Thanks for playing with us at A Blog Named Hero!